The Natura fibre cement cladding range offers specifiers a sustainable and low maintenance facade that combines excellent aesthetics with durability and impact resistance: qualities that will enhance any new build project or equally, improve and upgrade an existing building as an overclad solution. 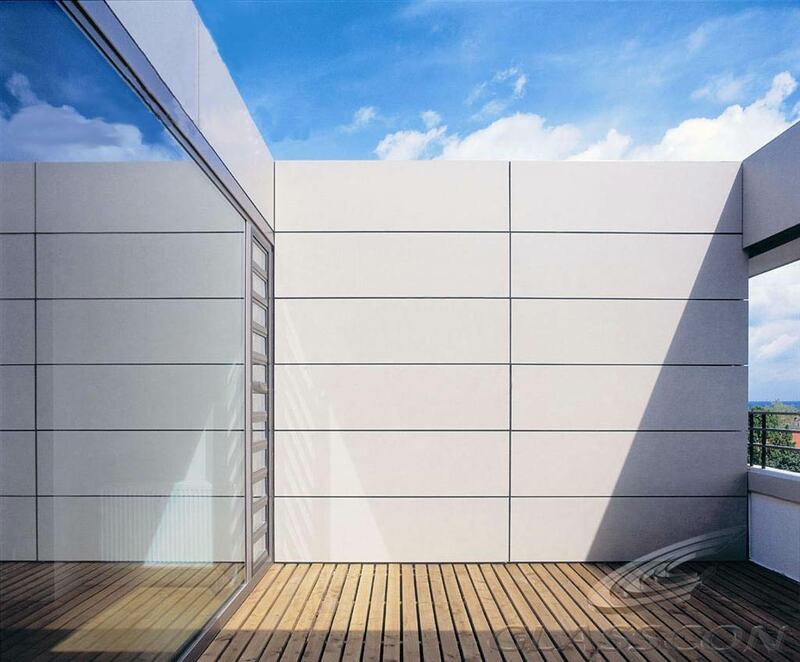 Available in a range of colours and finishes including an anti-graffiti coating, and both mechanical and secret fix options, the Natura range gives specifiers the full creative scope of modern cladding systems with the performance levels contemporary buildings demand. Colours shown starting with code 'N' are available with a UV Pro coating, offering good protection against many types of staining. Textura combines vivid colour, texture and toughness in one fully compressed fibre cement cladding panel. With a highly glazed, granular finish available in any factory-approved RAL colour, it is impact resistant yet strong, light in weight and easy to use. Its performance pedigree is second to none, complying with British and European Standards with regard to fire resistance and spread of flame. Textura panels can be surface-fixed, or secured with specially designed, concealed fixings. Suitable for a wide range of high quality façade applications.